1. When did you first become interested in photography? Bill Lies: I was desperate for some creative right-brain activity after I graduated from law school in 1982   My undergrad was in music so I was looking for something in the arts. I enrolled in a couple of photography extension courses at the Laguna street SF location of UC Extension, which had a well-known, large darkroom. I was hooked, and I joked that my partner became a darkroom widow. I spent the first year shooting and printing exclusively black & white in that communal darkroom, and that formed the basis of everything that I have done in photography since. 2. What camera and equipment do you use? Until 2002, I shot with 2 or 3 Contax 35mm bodies, all fitted with my Zeiss collection of lenses. I wanted the optimum sharpness possible without compromise. In 2002, I got a Contax 645 and was in seventh heaven. I took a break during the advent of the digital years, and it was actually the iPhone6 that brought me back. It does an incredible job with existing light and on macro shots. That brought me to my recent acquisition of the Nikon D810, whose astounding abilities I am still experiencing. 3. What approach do you take with your photography? Besides any planning phase, it all really happens at the point of contact, the moment the eye meets the viewfinder. Something magic happens and all your senses come together to focus you on capturing that little bit of the world seen through the viewfinder. I instinctively evaluate the formal elements, tonal range and potential impact of the image, whether strong or subtle. So the formal elements of space, composition and form tend to be hard wired into my photographs. I’m also very conscious about whether the scene’s tonal range can be captured by my equipment. Once those over-arching evaluations are made, more subtle considerations may come into play like the purpose, effect, emotional impact and even social statement. 4. Were you self-taught or did you have a formal education in photography? I took a lot of UC Extension courses that profoundly affected my photography. I remember Marcia Lieberman, who had the gift of finding the inner soul of someone and fetching it out of them. John Elk taught both the aesthetics and business of photography. And finally, Steve Hathaway gave us the treat of taking an entire fashion and studio lighting course in his studio. Seeing the strobe lights applied to models and products was an invaluable lesson in lighting. 5. Are there any photographers who influenced your work? If so, who? 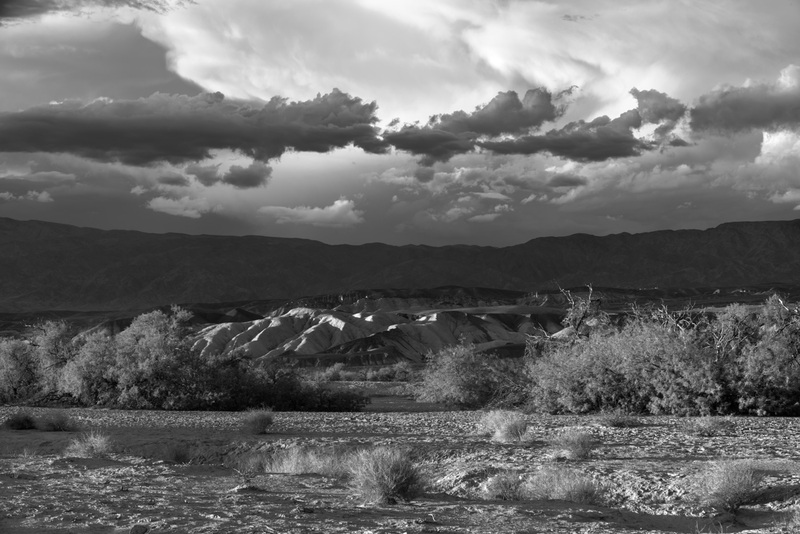 There are many but I would have to pay tribute to Ansel Adams, and particularly for his development of the Zone System. Adams attempted to solve the one big problem that haunts us yet today. How do you take a scene with 20 stops, record it on film capable of only 12 stops, and then print on paper with only 8? More simply, we still cannot reproduce the stunning visual world that we see with our eyes, but we are getting closer in the digital age. In practice, Adams is responsible for the curves adjustment layer that I leave on top of the layers in every photographic file. I don’t make any adjustment with it, but use this layer as a measuring device. 6. Your images, particularly the ones in your 395 collection, are stunning and masterfully composed. Can you give us some background on these images? Thank you! These were born of unique moments happened upon by chance, not exactly decisive moments, but none the less fleeting. 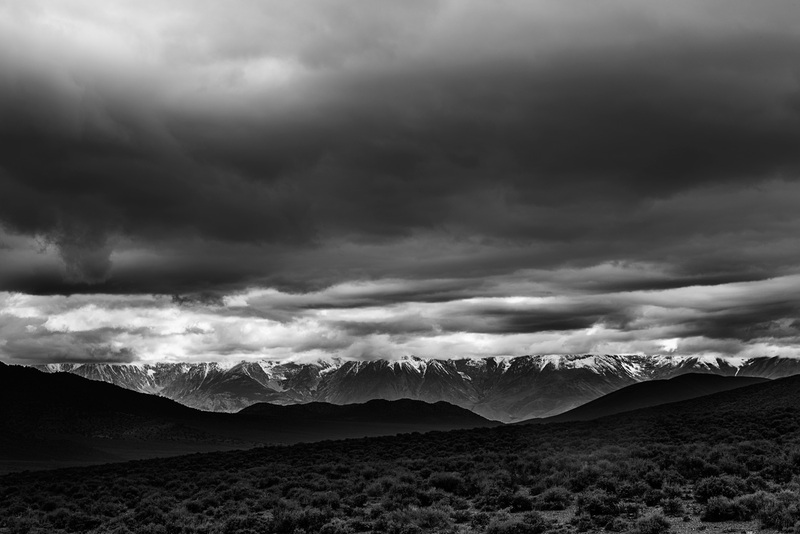 In the image at the very top, this Eastern Sierra shot is a glimpse of the grand and mighty Sierra escarpment by Bishop seen near sunset from the desert just east of Big Pine on the Big Pine/Eureka Dunes road. Furnace Creek late light is in fact the last, raking sunlight over the Funeral Mountains of the Amargosa Range, just above Furnace Creek resort. This is Mighty Mono Lake. On the day I took this shot, the clouds were hovering ominously low. The lake beckoned the clouds to descend from the heights. I used a 70-200 telephoto at 200 to zoom all the way in to the unfurling drama. 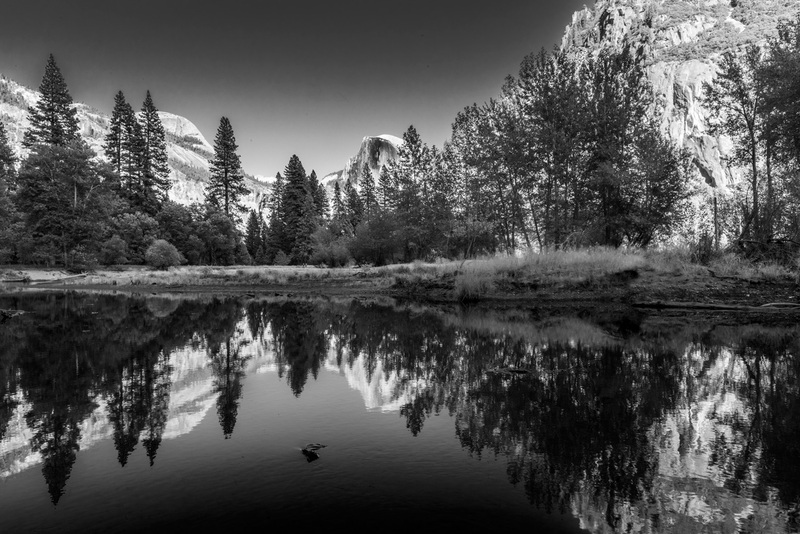 This is Half Dome recently taken in the Valley with the Merced River in the foreground not too far from a bridge called Swinging Bridge. The low, low water allowed me to get a view that would otherwise not exist. 7. You shoot images across a variety of genres, i.e., food, street, and landscape. What do you enjoy shooting the most? Where do you hope to travel next with your camera? Probably some tropical water. Probably some dunes, as there are so many that I’ve not seen. Maybe Paris. Always Yosemite. 8. If you had one piece of advice for a novice photographer, what would it be? Go. Images will happen on the indeterminate journey. But go. Bill Lies is a San Francisco-based photographer. 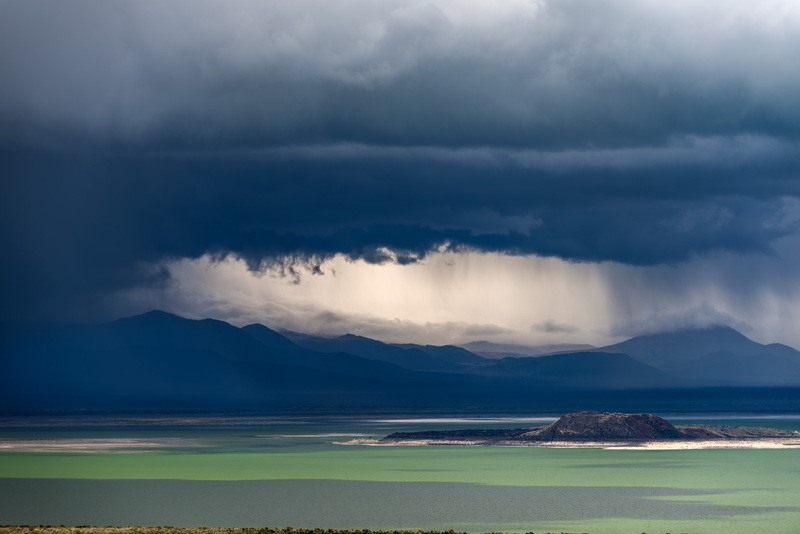 An accomplished photographer with over thirty years experience, Bill has a gift for amazing composition whether it is shooting wildlife, french macarons or scenes in the High Sierra. For more information about Bill, click here. All images © Bill Lies.